The current scientific perspective of the evolution of life on Earth is that of a linear progression from simple to complex. 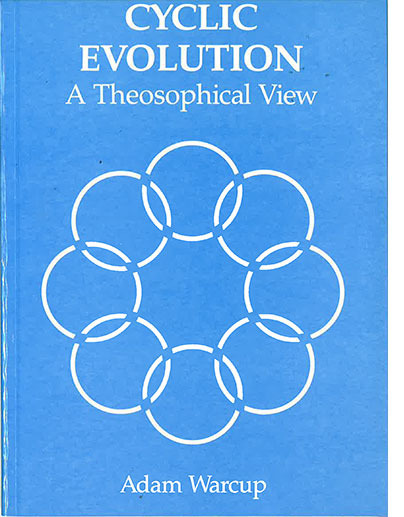 The Theosophical perspective is radically different, postulating a cyclic evolution for Life itself, man included. It also demonstrates a non-physical component as integral to the process, without which evolution falsely appears as a random process . Contents: The 7 Kingdoms of Nature/The Planet/Cycles/Hierarchies/The 7 Elements/the Planes of Nature/Rebirth of the Planet/3 Schemes of Evolution: Physical, Intellectual, Monadic/The 7 Principles of Man. Parts 1 & 2 outline the teachings whilst part 3 gives extensive illustrative quotes from the original literature.